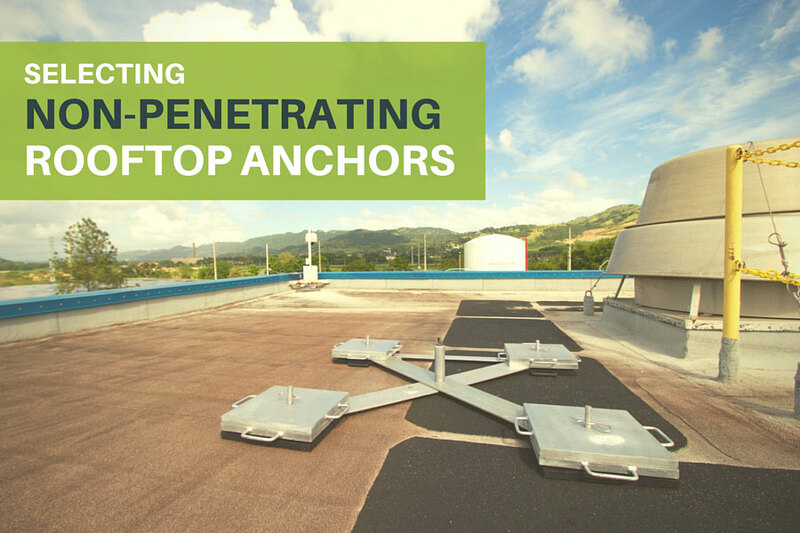 There are many rooftop anchors on the market, however, a number of them require you to penetrate the roof membrane in order to fasten the anchor to the structure. That’s fine if the building owner allows it, but in a commercial application that is unlikely unless you are installing a permanent anchor point. For something temporary, there is no way the owner is going to want you to compromise the integrity of the membrane. So, what options do you have? Keep in mind that just because the method of securing the anchor does not involve roof membrane penetration, it does not mean that you won’t damage the roof. Weighted anchors, for instance, are going to be heavy so they do have the potential to cause damage once assembled or if components are dropped during assembly/disassembly. Take the utmost care in placing them and be sure you follow any manufacturer’s recommendations for protecting your roof during use. A fall protection cart can also be used and will most likely not cause any damage unless a fall occurs, in which case many of these carts are going to dig into the roof membrane, as designed. In this instance, I think patching a roof will be an acceptable alternative to having a fatality. Even parapet clamp anchors can cause damage to your flashing, especially if used in a fall, so be sure to inspect the roof when you are finished. Understand the difference between fall arrest and fall restraint, and know which your anchor is designed for. It very well could be that it’s designed for both, but you need to know how many it can support for each and if there is a different connection. Fall restraint is preventing your workers from actually reaching the edge and falling over. For this, they would need a fixed length lanyard or an SRL that – fully extended – was shorter than the distance from the anchor to the edge of the roof. Fall arrest is stopping a fall after it occurs. Anchors can be designed for either one of these or both. 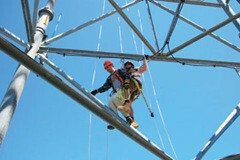 For instance, some roofing carts are designed for three people: up to 2 for fall arrest and the rest for fall restraint. In addition to there being a limit on the number of users for each type of protection, there are also often separate attachment points for each. It is imperative that you follow the manufacturer’s requirements if you want the anchor to protect your workers in the event of an actual fall. In the example above, the cart is designed to hold three people. You cannot opt to add additional personnel to this just because there’s room for another hook. Remember, anchor points are required to support 5000 lbs. 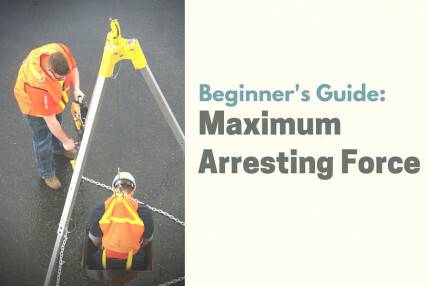 per person attached (or a safety factor of 2), so if you continue to add users and multiple people fall, the entire cart system or anchor point can fail, sending all of the attached personnel plummeting to the ground. Before you buy, know how many people you are going to need to be attached at once. Some anchors are designed for one. That may be fine for you. Understand that, because of swing hazards, you are not necessarily going to be able to use one anchor for work in multiple locations without having to move it. So having something portable is great. However, if you need workers in different locations working at the same time, you may require multiple anchor points. Like every other piece of safety equipment, you can’t purchase anything without first planning what you’re going to need that equipment for. Look at the situations you expect to be in, look at the number of employees you need to protect, and look at the distance they’ll need to be working from each other. Most importantly, once you’ve purchased the equipment, train your employees on its proper use. Buying an anchor does you no good if your employees overload it or tie off to it the wrong way because they had no idea how to use it. 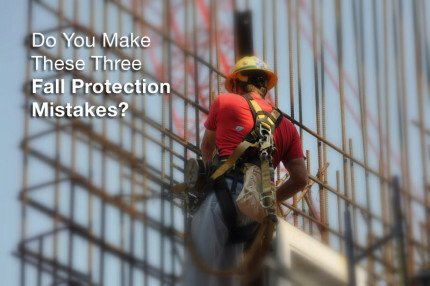 Fall protection solutions are not one size fits all so make sure you’re speaking with the manufacturer, distributor, or a safety consultant if you aren’t sure what you need. Don’t leave the lives of your employees to chance.